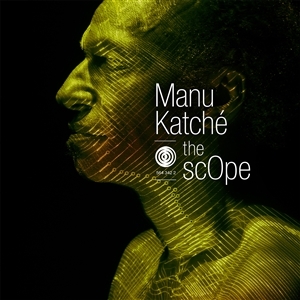 Manu Katch went to the Conservatoire but his musical origins are to be found in rock music. Even though the drummer extraordinaire has listened to a lot of jazz music, he hasnt played that much of it. The case gets even harder to crack when you listen to Katchs tenth album, The ScOpe, wherehe digs deep into the roots of groove music all the while incorporating the modern sounds of machines. The album cover designed by Arno Lam appropriately pictures Katch sideways - an African profile he says, and indeed Africa is the underlying musical theme of the whole album. Manu Katch went to the Conservatoire but his musical origins are to be found in rock music. Even though the drummer extraordinaire has listened to a lot of jazz music, he hasnt played that much of it. The case gets even harder to crack when you listen to Katchs tenth album, The ScOpe, where he digs deep into the roots of groove music all the while incorporating themodern sounds of machines. The album cover designed by Arno Lamappropriately pictures Katch sideways - an African profile he says, and indeed Africa is the underlying musical theme of the whole album.